CAST Facilities - Clearfield Arts Studio Theatre, Inc.
We are located at 112 E Locust Street in Downtown Clearfield, PA. Pictured above is the front of our buildings. The entrance under the marquee takes you into the auditorium. The stairs leading up to the wooden double doors is our office and board room. CAST's auditorium seats 190 audience members, and also has seating for wheelchairs. 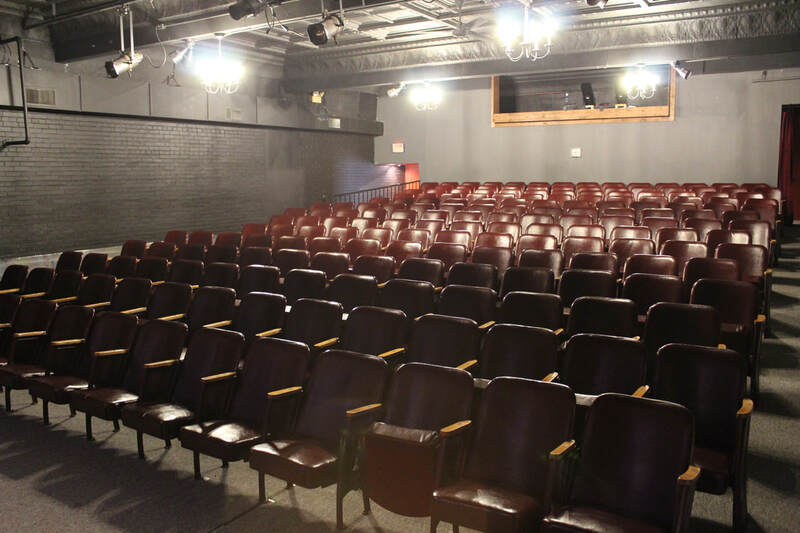 The auditorium is both air conditioned and heated to keep our patrons comfortable all year. CAST has a recently updated sound and lighting system to provide a space for high quality performances. Backstage, we have our green room. When preparing for a show, this space is used for rehearsals, meetings, costume design, and more. During a show, this area is decorated to follow the theme of the show and serves as a place for theater patrons to get refreshments at intermission and meet the cast and crew after the show. 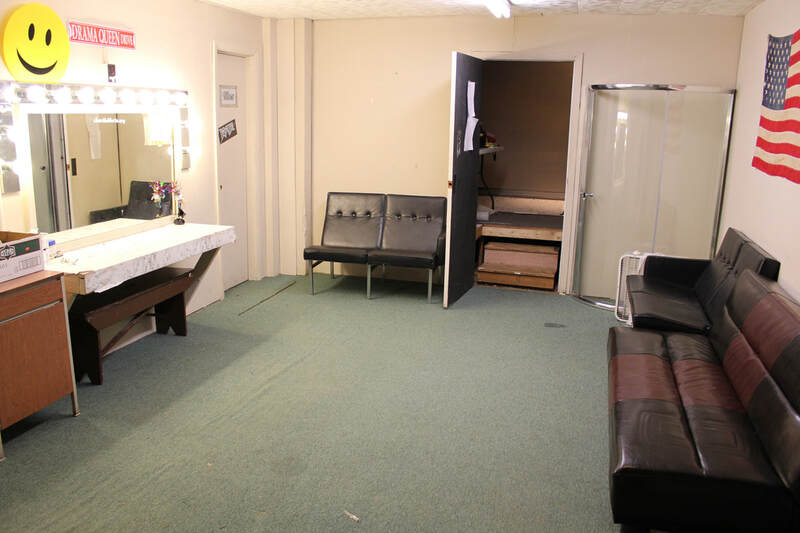 We also have dressing rooms for men, women, boys, and girls backstage, as well as a restroom. 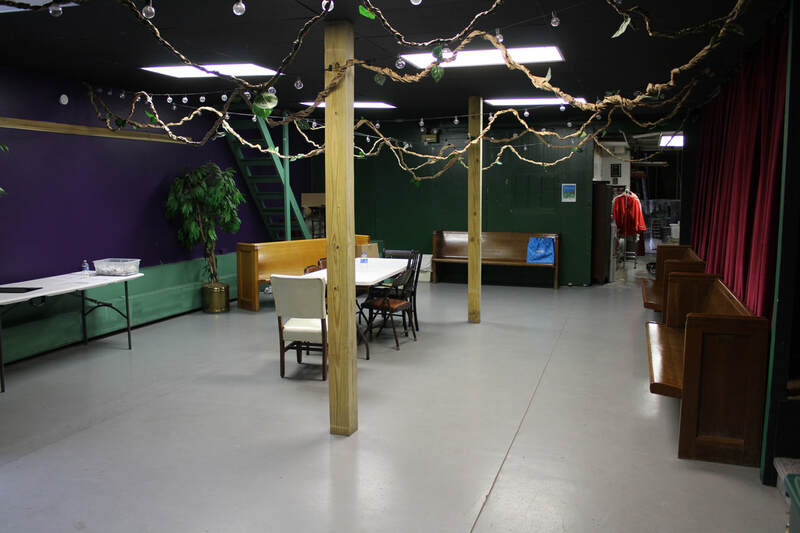 Our shop is located backstage, as well as a multi-purpose room and prop/furniture storage. 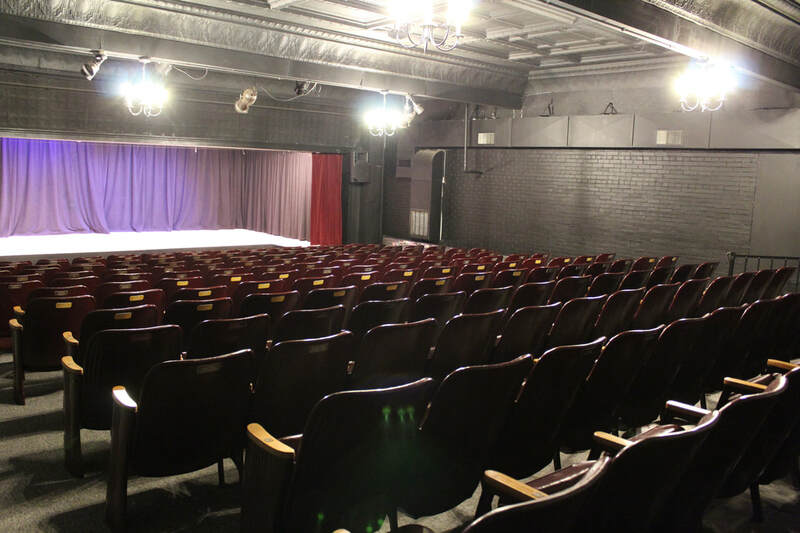 Above the auditorium is a large dance studio, perfect for rehearsals and performances. Two smaller studios, which are used for music lessons, a waiting room, as well as restrooms and changing facilities are also located on this level. Pictured above is the CAST board room. This area is also home to the CAST office and a restroom. This space is used for meetings, classes, and a local church group. Above this area is the costume shop. In the basement is a music studio.